This is the second of a four-part series on R.L. Dabney's letters to Dr. W.H. Ruffner in opposition to the public school system in Virginia. Here are the articles on Dabney's first letter and third letter. 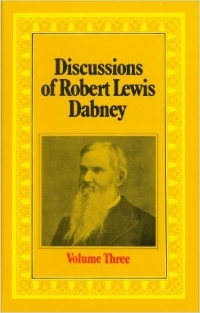 The full letters can be found in Dabney's Discussions. In his second letter to Dr. W.H. Ruffner in opposition to the Virginia state school system (dated April 22, 1876), R.L. 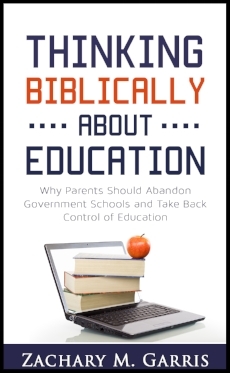 Dabney attacks what he calls “the absurd and impossible idea of the Leveller.” He is referring to the idea that the public schools could make it “possible for all men to have equal destinies in human society” (p. 247). Dabney is essentially critiquing the concept of egalitarianism—that all men are equal in function, ability, and circumstances—and that the universal state schools can ensure such equality. However, Dabney responds that such a system “fosters a universal discontent with the allotments of Providence, and the inevitable graduations of rank, possessions and privilege.” He considered this desire for levelling people to be “anti-Christian,” as the Bible inculcates “contentment with our sphere” (p. 247). According to Dabney, “It is utterly false that every American boy may aspire to the higher stations of life,” for such positions can only be reached by a few. The state should not disadvantage any in this race through legislation, but “Providence, social laws, and parental virtues and efforts, do inevitably legislate in favor of some classes of boys in their start in that race, and if the State undertakes to countervail that legislation of nature by levelling action, the attempt is wicked, mischievous, and futile” (p. 248). This is a fascinating argument made by Dabney, and it speaks much to our present state. Modern egalitarianism insists that the state counter the influences of providence, social laws, and parents through legislation (e.g. affirmative action, public schools, etc.). However, as Dabney says, such legislation is not only wicked, but it is “futile.” The state is unable to level such differences. 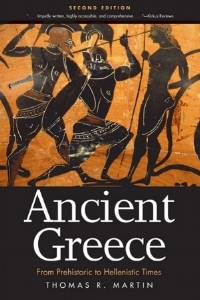 As Dabney says, “The larger part of every civilized people is, and ever will be, addicted to regular, manual labor” (p. 248). Admitting there are some exceptions (such as King David), experience confirms that most people are a result of their environment. This is partly why there is such frustration with the poor performance of inner city schools. The state cannot overcome the influence of the children’s parents. We care not how universally the State may force the arts of penmanship and reading on the children of laborers, when these become laboring men they will cease to read and write; they will practically disuse the arts as cumbersome and superfluous. This is a fact which your enthusiast for common schools is loath to look; but it is a stubborn one (p. 249). Again, does experience not teach us this is true? America’s truly educated often complain about the general population not being able to write well and not desiring to read. Could it be that such tasks are simply not fitting for the masses? This is not to say that such skills should not be taught, as they can easily be learned by young children (from parents or even self-taught). Rather, it is to say, as Dabney does, that such skills should not be forced through compulsory state education. Dabney states near the end of his letter, “The smattering which State education has given the masses has but been to them the opening of Pandora’s box. It has only launched them in an ocean which they are incompetent to navigate . 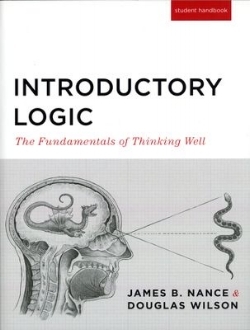 . . they have only knowledge enough to run into danger” (p. 252). Again, Dabney is not opposed to education. In context, he is attacking the universal and compulsory state education that teaches too little. Dabney’s point is a potent one—the state school system ignores the stubborn fact that not all men are equal in ability, intelligence, social status, and opportunity. Most humans will end up in manual labor and will abandon the reading and writing forced upon them, regardless of the attempts by the state schools. But instead of rejecting God’s providence, we ought to embrace it. The state’s effort to legislate the levelling of people has been disastrous, as evidenced by the public schools, particularly in the poorer areas. If educational decisions were left to the children’s parents and the free market, everyone would be in a much better position—and more apt to embrace the career path that providence has given them. Robert L. Dabney, “Dr. Dabney Again” in Discussions, Volume 3 (Carlisle, PA: Banner of Truth, 1982), pp. 247-253.